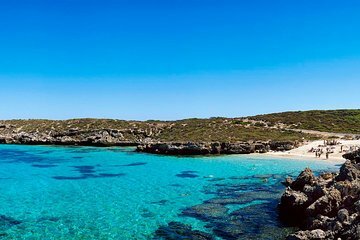 Escape the city for the offshore paradise of Rottnest Island, one of Perth’s most popular holiday resorts. Board your high-speed ferry from Hillarys Boat Harbour and soak up the scenery on an exhilarating 40-minute cruise across the Indian Ocean. Enjoy a full day to explore the car-free island independently, take in the views from the Wadjemup Lighthouse, hire a bike or relax on the sandy beaches. When it’s time to leave, simply head back to the jetty to catch your return ferry.